The sinking of the first two shafts at Florence Colliery, named after from the 3rd Duke of Sutherland’s eldest daughter, commenced in 1874. The colliery was worked privately by the Duke until the Florence Colliery Ltd was formed in 1891, which was later replaced by the Florence Coal and Iron Co. Ltd in 1896. A third shaft was sunk in 1916. After Nationalisation in 1947 major work was carried out including the installation of new electric winders, Horizon Mining and a new coal plant. Underground connections existed at various time with Hem Heath and Parkhall Collieries. 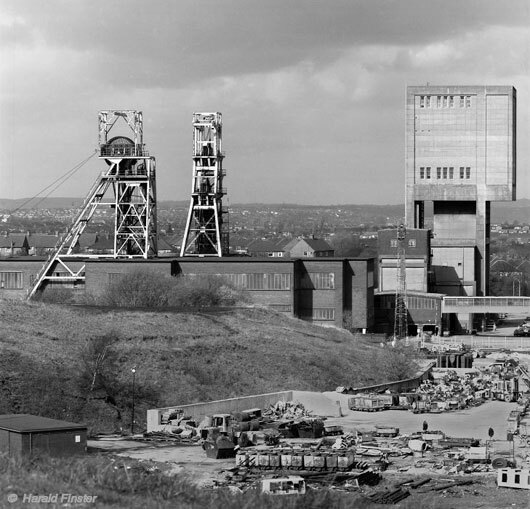 Florence was merged with Hem Heath Colliery in 1974 to become part of the Trentham super pit. The colliery itself finally closed in 1994.